Love and Duty (1931) is heartwrenching and it is long, so there were both sniffles and snores in the packed SIFF Uptown theater last night. The Chinese film, directed by the celebrated Wancang Bu was a hit in China upon its release, but was long thought to be lost, until a print was found in Uruguay. Now it is enjoying a resurgence in popularity due to a 2014 restoration. While I knew all this going into the film, I was most excited about finally getting a chance to see the legendary Chinese actress Ruan Lingyu, who has been called the "Chinese Greta Garbo." I was so mesmerized by her in the trailer for the film that I thought it would be amazing to see the entire production. Of course, Ruan is not like Garbo. You don't become a huge star by being like anyone else. On the big screen though, she has the same effect as the Swedish Sphinx. Her presence inspires a similar stunned feeling as if you are being held completely captive by her. She's got this smile that makes you feel goofy with affection and a way of making you love her even when she is cruel. Ruan brings you into her orbit. The actress ages from her teen years to advanced middle age in Love and Duty, and you never feel a hint of artifice. 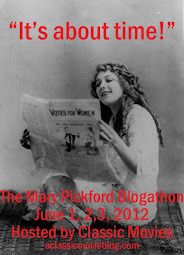 None of those uncomfortably glamorous "teenagers" like you might see in the early scenes of a classic Hollywood film. In the beginning she captures the essence of youth, a mix of entitlement and high spirits. Then, she telegraphs the changes of marriage and motherhood with only a simple costume and hairstyle adjustment to aid her. She is hardened and disappointed in her arranged marriage, yet giddily in love with her children. The most stunning transformation she makes is to her later years, where even terrible, and terribly unnecessary tooth blacking doesn't undermine the stunning completeness of her transformation. When people who knew her in her youth don't recognize her, you believe it. SIFF board member Richie Meyer introduced the film. He said that it was made at the height of the classic period of Shanghai period. That quality was evident, from the settings and costumes to the skill of the director and performers. It is a melodramatic story, meant to wrench emotion from its audience, but it is so well made, and its stars are so engaging, that you don't mind being manipulated. After his comments, Meyer announced that the 95-year-old Chinese actress Qin Yi was in attendance. 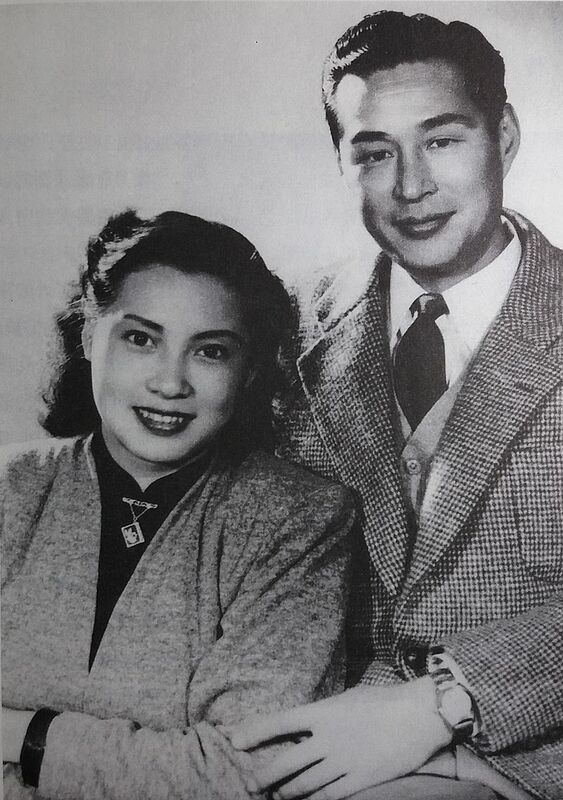 She was married to Ruan's charming co-star Yan Jin from 1947 until his death in 1983. Yi was also at the festival to promote The Beautiful Kokonor Lake, a film which she wrote, produced and starred in. That fact does not seem so surprising when you get a look at Yi, who definitely has no interest in acting her age. Aided by a translator, she shared memories of her husband and the industry, at one point looking at the audience and saying, "thank you for not forgetting." It was such an honor to see her. While Love and Duty can drag, I never lost my interest. There are a lot of familiar beats to the plot, and you know the heroine will pay for her sins, but the uniformly fascinating cast keeps you engaged. Yan and Ruan star as lovers who meet as students, and are separated by her arranged marriage, but who cannot resist each other. Ruan leaves her family to pursue true love and from then on is constantly punished for it. That said, there are moments of transcendent joy in her life, moments she wouldn't have within her marriage, which leave you wondering if the suffering was worth it all. The scenes of Yan and Ruan enjoying their blossoming romance are the best in the film. This isn't a hot and heavy affair, these two adore each other. Their chemistry reminded me of Irene Dunne and Charles Boyer in Love Affair (1939) and their similarly scandalous romance. You want so much to see them thrive, despite the fact that they cause so much pain. It isn't as if the society they live in is full of innocents. Fresh from the San Francisco Film Festival, Donald Sosin was on hand to provide keyboard accompaniment to the film. I am a huge fan of Mr. Sosin, and felt that this was a particularly great performance because he was able to so subtly match the mood of the film. It has been interesting to see him ripen as an artist in his appearances at SIFF over the past few years. On an interesting side note, in a few scenes I was surprised to see Ruan wearing earrings that appeared to have swastikas on them. I figured there had to be another meaning to the symbol than that for which it is notorious. What I hadn't noticed was that the symbol was turned in a different direction than the Nazi version, which co-opted the original Sanskrit symbol. Apparently it is used on maps to mark Buddhist temples, which has caused enough distress for foreigners that some have suggested discontinuing its use. I was not able to find a specific meaning for the symbol in the Buddhist religion; it seems that mystery is intentional. This film is one of several that Richie Meyer, an expert in Chinese cinema, has brought to SIFF. He also wrote an interesting book about the brief life of Ruan Lingyu, which was what piqued my interest in seeing the actress on screen.